Between long-haul flights and those dreaded long bus rides, travel is always about comfort for me. After all, if I have to spend a day cooped up in planes and trains, I don't want to be dressed up in tight-fitting clothes. Now we've all seen people who turn up to the airport in their pajamas, baggy t-shirts, and even Crocs! But even I have to hold up my hands and admit I've done my fair share of elephant trousers and tracksuits for late night airport runs and long days of traveling. After all, it's not the most delightful experience to sit in a small plane for a long time wearing uncomfortable and tight clothing. But what we all seem to have forgotten, is that there is a whole world of leisurewear that exists somewhere between sloppy sweatpants and donning a suit. While you will never want to sacrifice comfort for glamour, there is a way to ensure you look chic and elegant upon arrival. There was a time when travel was a luxury reserved for the glamorous. When women would style themselves in dresses, heels, hats; and the men wore suits and ties. Now airports seem more reserved for crowds of people dressed for a sleepover! It may seem like a lot of effort, but if there's one thing I've learned over the years, it's that there are some very good reasons to pay attention on how you dress up for air travel. You don't have to dress up to the nines to look smart and arrive looking presentable instead of a mess of creased clothes and an untidy mess of hair. What's the point, I hear you ask. Well, did you know that looking good can help you get past security swiftly and hassle-free? Read on for more reasons why and how you should dress up for your next trip. 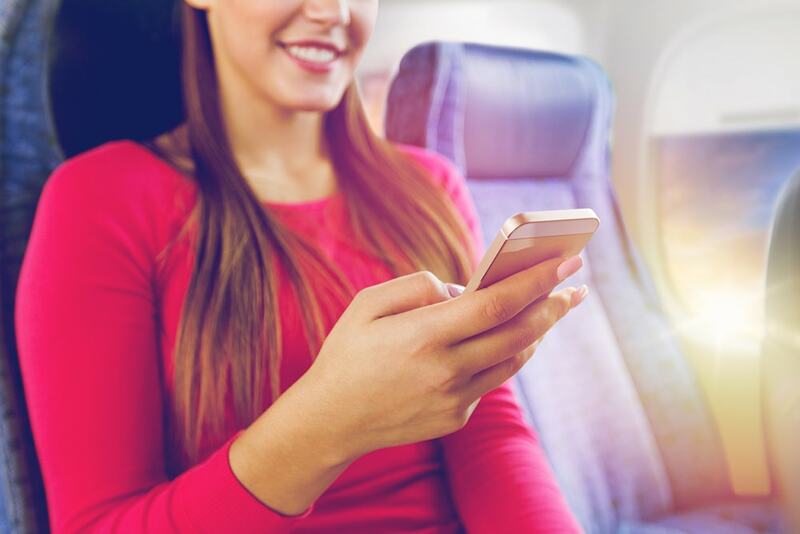 There are so many opportunities to move to a better seat these days, and who doesn't want to score a free upgrade? I've always dreamed of this happening to me, and with so many loyalty programmes and the frequency of overbooking, it could happen to anyone! By dressing smarter, I'm much more likely to be chosen because I'll fit in with the best customers much better than the guy in dirty sweatpants and old flip-flops. We all feel better when we look good and why shouldn't we dress up? After all, going on holiday calls for celebration and it feels good to reach your destination and not look like a total disaster. Plus, I always find that wearing an outfit instead of sweats, and not scraping my hair back really boosts my self-confidence when traveling solo. If you've ever worked in hospitality, you'll know that it does matter how people look and present themselves, whether they have the best hair, a big smile on their faces or dress smartly. Flight attendants will appreciate them dressing nicely because today most of us just don't bother anymore. 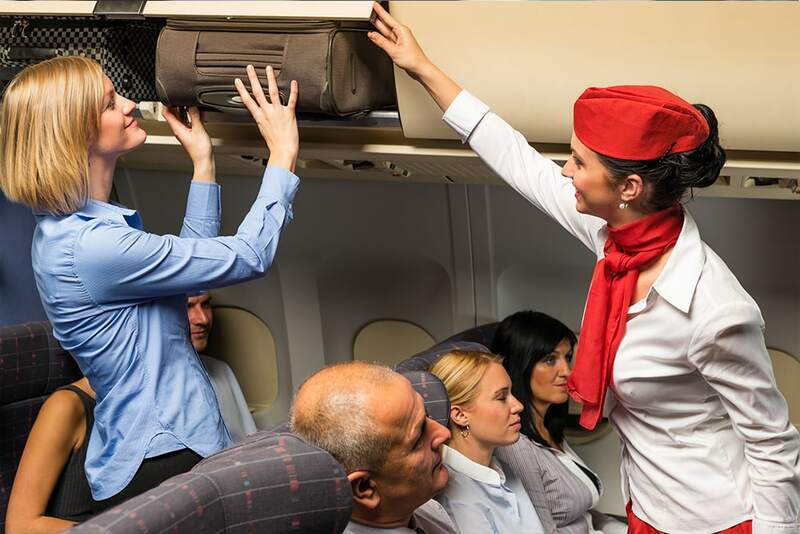 The more effort people make when they come into their workplace; the more likely are the flight attendants to give them the special treatment. I always remember when the stewards kept bringing warm cookies on a flight to America, simply because we had made an effort to dress nicely and chat with them. Always make an effort, you never know who you might be sitting next to! Plan your outfit well and don't waste time on items you won't wear again. Instead wear bulky items such as coats, boots, sweaters or layered clothes. Not only do they look smarter than sweats, but they will save you a lot of space in your suitcase. I always try to plan and organize my suitcase around my airport outfit to help save space. As I said, you never know who you may bump into at the airport, and who wants to run into their favorite actor or pop star wearing their pajamas and Crocs? You need to be selfie-ready and feeling good! Speaking of being selfie-ready, you'll be wanting to capture the memories at every stage of the journey. I'm always on the lookout for a good photo opportunity, and that means being camera-ready at all times. Let's be honest, who wants photos of them looking like death on the way to the airport? Not me! 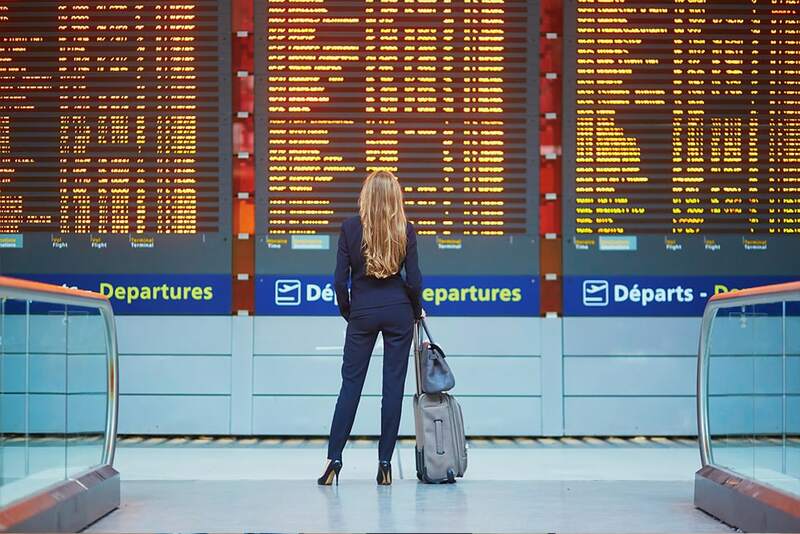 If your trip involves connecting flights, it's nice to be well-dressed at the airport in case you fancy browsing the shops or hitting a bar. Plus if you have a long enough layover, you could even venture out of the airport to explore, but you can't do that in your pajamas! If the worst happens and somehow your luggage is lost, dressing smarter en-route will mean you have some normal clothes to wear and aren't stuck in your slobs. You'll sail through security and, if you're traveling for work, you'll have a safe option for that important meeting. Going on a holiday is always such an exciting time for me, and I think it's important for my clothes to reflect how I feel. I want to look relaxed but chic, and this is a reminder that it is not that hard to upgrade your look while still staying just as comfortable. You might not be able to do anything about the cramped seats and overcharging for overweight luggage, but you can get yourself in the holiday spirit early. 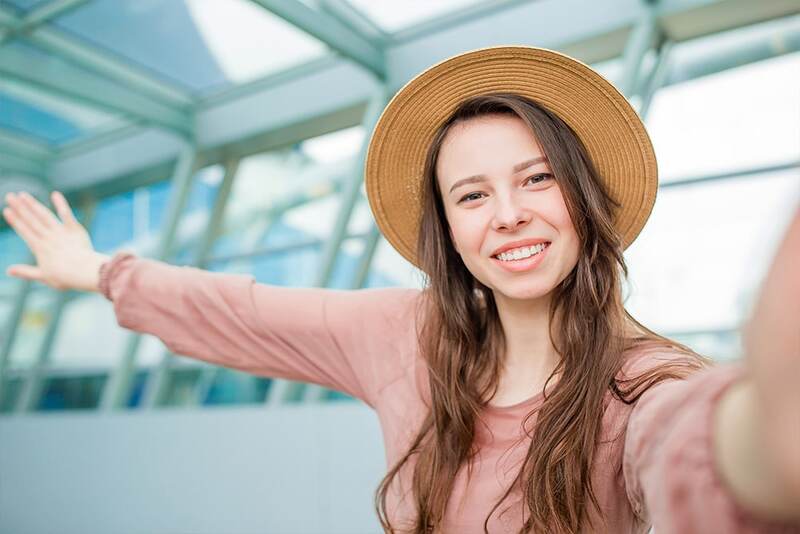 Just as you might buy yourself an in-flight cocktail or a frivolous magazine to enjoy your time on air, you should wear flattering clothes as a small way of making travel a fun experience. So whether you are traveling for work or leisure, here are my tips to help you style your airport look without compromising your comfort. When moving between different climates, layering is the best way to style your look so you can be prepared for every situation. Whether I am traveling from a hot country to a colder one, or vice versa, I always plan ahead with my layers so I can either put more layers on or remove them as the temperature changes. I always wear light and comfortable base and put on layers of warm clothes so that I can remove the outer layers when I arrive at a hotter destination. Plus it's always good to be prepared for stuffy, warm buses or chilly, air-conditioned flights with an extra jumper or scarf to keep you warm. Layering can also save you some extra space in your suitcase. You can always roll items that you layer and stuff them in your carry-on bag if needed. Keep it simple when choosing an outfit and pick chic, basic solid colors over brighter colors and bold prints for that perfect airport look. Basic colors complement each other and allow you for layering without looking like a rainbow. I tend to go for a monochromatic look for a touch of class and find black, navy, brown, and beige to be excellent choices. These colors won't usually show up creases and wrinkles as badly after hours of sitting down in the plane. White tends to get dirty, so avoid wearing it for flights and save for when you have a tan. Just because you're spending the night in the airport or on a plane, doesn't mean you have to be boring. Let your style shine through your outfit choice and wear the latest fashion trends. I never travel anywhere without a scarf or pashmina. It is multi-functional for warmth or to make a bold statement. Why not show your personal style through your choice of sunglasses, handbag or carry-on bag and invest in a good one worth showing off? Traveling days can be manic, so I always try to plan my outfit to be as lightweight and breathable as possible. No-one wants to be wearing thick, heavy, synthetic materials that make you sweat and feel dirty. Instead, I plump for cotton, silk or linen fabric which allow my skin to breathe. If you're taking a sweater or cardigan, choose fabrics such as merino wool or cashmere, which also look luxurious and will win style points. It does not give a very good impression to arrive looking disheveled, so why not save yourself the hassle of dealing with creased clothes by picking fabrics that don't crease easily? This is a great hack if you're pressed for time, or if you travel a lot for work. I always pick the type of clothes that stay crisp and neat even when you've been crushed into a tiny seat for six hours. That way, I can get off the plane and still feel smart and ready for action. Every girl's dream is for clothing with pockets, so find that perfect pair of jeans or travel jacket so you can stuff the pockets with all your important items. I love fashion that is also functional, and it's great to have a pocket where you can keep your boarding pass, passport, and cash to save rifling through your bag at every security check. There can be a lot of standing around and walking on traveling days, so make sure your shoes are as comfy as possible and easy to remove so you can pass through security quickly. I tend to go for sneakers that slip off easily or ballet flats, while men should go for a trainer or loafer style that won't hold them up. One word. Security. These days they want you to remove your shoes, belt, jewelry, any traces of fairy dust and a unicorn tail before they'll let you through. Save yourself the hassle and do what I do, remove all jewelry, belts, and heavy accessories, leave them in your suitcase. If you need to accessorize, keep it simple with a scarf, a watch and very simple, light jewelry. Bring the excitement and spark back into travel. Get creative with your fashion choices and bring a little old-fashioned glamour back into your vacation time. Don't be another lazy passenger dressed in their pajamas. Now I've shown you how to maximize both style and comfort, use these tips to make an effort to dress up both for yourself and your fellow travelers. See how dressing up can be a game changer for monotonous air travel and how it could change your next traveling experience.